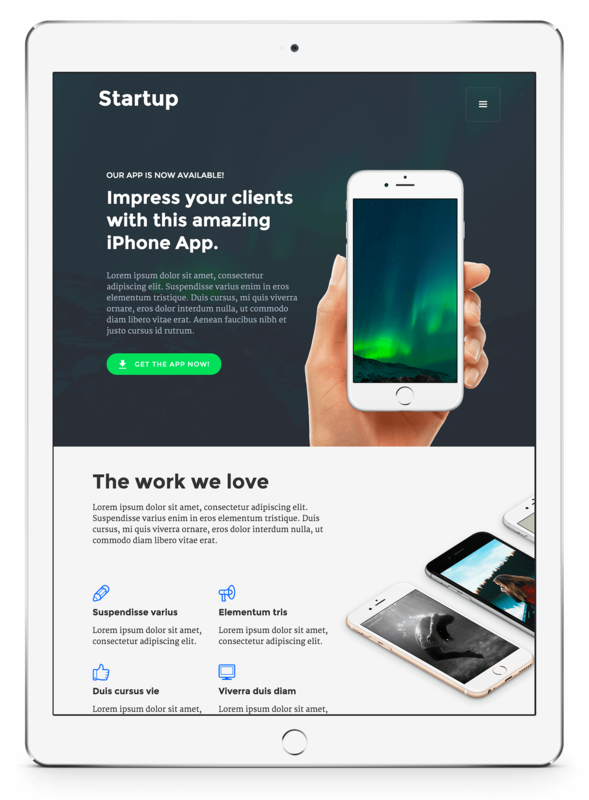 This Startup Kit is packed with great, re-usable features for your new modern, responsive website project! Easily rearrange the needed sections or elements and style them the way you want. A nice Business landingpage to showcase your business, services and products! 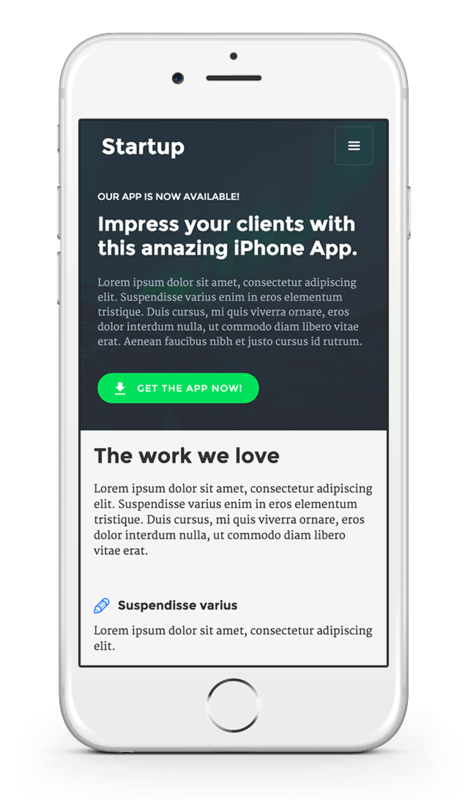 A beautiful landingpage perfect for showcasing an iPhone or other mobile app. 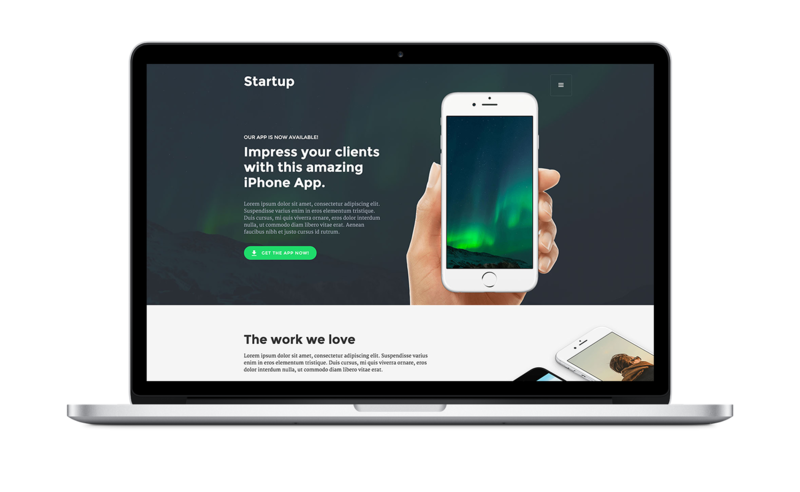 This Webflow Startup Kit comes packed with nice features such as homepage variations, re-usable sections, other interesting pre-designed page layouts, contact forms, sliders - you name it! The Startup Kit comes with 8 ready to use homepage variations. Of course you can rearrange them the way you'd like! Don't worry about the responsive part. We already did that! Be sure to do your own checks after you did customization though. We created a lot of nice page layouts such as variations on contact pages, team pages, portfolio overviews and more. Comes with ready to use UI elements. Don't worry about all the standard needed UI elements. We've taken care of them. Just select the ones you need!